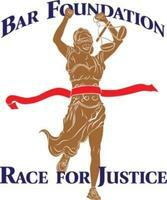 The Santa Barbara County Bar Foundation is hosting a “Race for Justice” 5K and 5K Fun Run on Saturday, April 6, 2019. Proceeds from the event will support the charitable activities of the Foundation. The race will begin at Ledbetter Beach in Santa Barbara. Sign-in and day-of-race registration at 7:30 a.m. 5K and 5K Fun Run are at 8:30 a.m. 5K prizes for first place mens/womens. 5K Fun Run prizes for best costume and best group costume. Prizes given out immediately after the race.